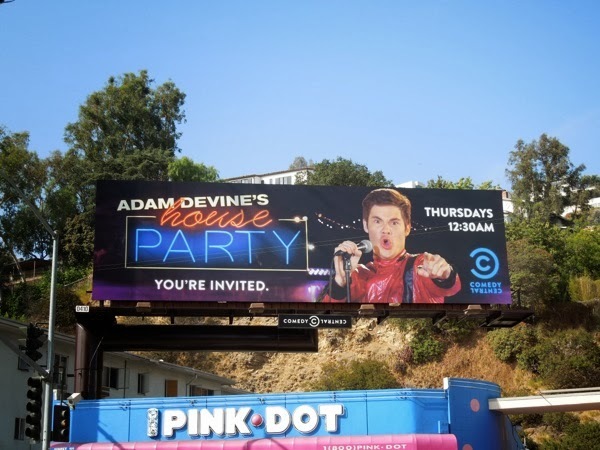 Comedy Central have given Adam Devine, the Pitch Perfect and Workaholics star (not to mention the new male nanny or 'manny' on Modern Family), his own solo gig. But not content with his own scripted scenes, the funny man's new House Party features up-and-coming comedians doing stand-up sets between his skits. Let's hope his new show proves funnier than Pitch Perfect co-star Rebel Wilson's ABC sitcom, which is proving anything but a Super Fun Night (even though it had a brilliant special installation billboard to launch it). 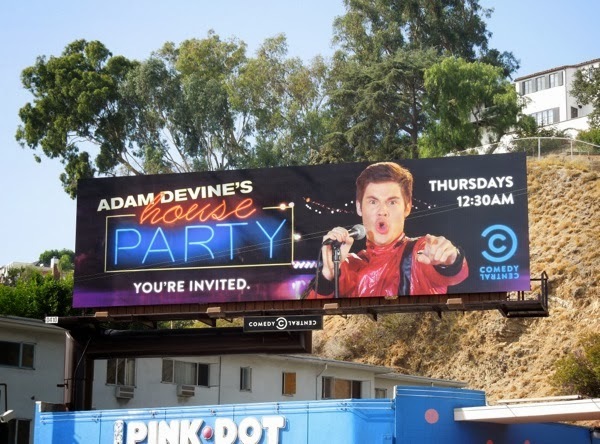 This billboard for Adam Devine's House Party, with the comedian rocking Michael Jackson's 'Thriller' red leather jacket, was snapped along Sunset Boulevard on October 25, 2013. If you want more laughs, be sure to check out these outrageous billboards for Workaholics third season too. 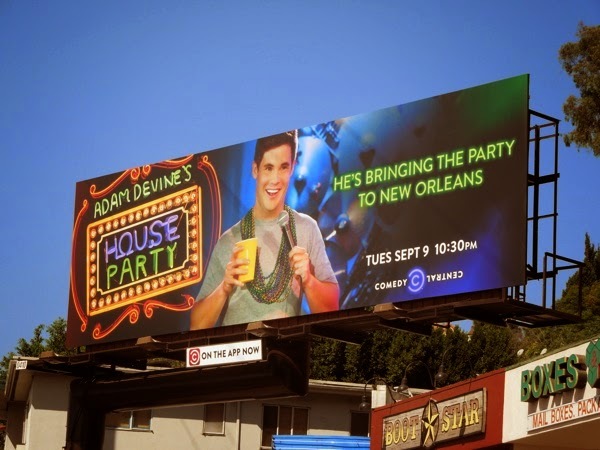 UPDATED: If you can't wait for the nest season of Workaholics then it's time to head down to New Orleans for the second season of Adam Devine's House Party. 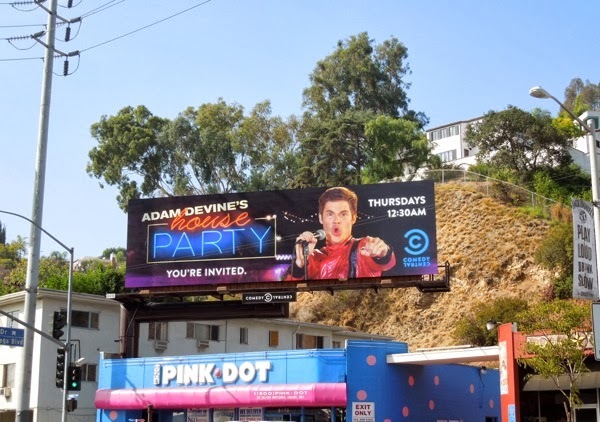 This sophomore season billboard was the stand-up star was spied along the Sunset Strip on September 6, 2014.